ASUS Republic of Gamers (ROG) 28 June announced that the ROG Masters 2017 - India and South Asia qualifiers and the finals will be hosted at The Lalit, Bengaluru on 19 August 2017. The registrations will start from today at http://www.rog-masters.com. 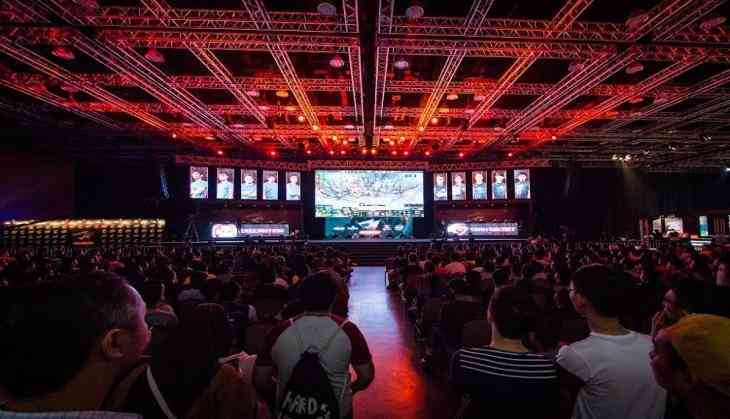 Hosted for 2 games; Counter Strike: Global Offensive & Dota2, the tournament is divided into 4 continents - (APAC) Asia Pacific, Americas, China & EMEA (Europe, the Middle East, and Africa). India, Bangladesh, and Sri-Lanka form the South-Asia group under APAC. The India qualifier is divided into two segments - Offline India Qualifier (Qualifier #1) & India Open Online(Qualifier #2). The offline qualifier will have a total of 16 cafes (List appended below) across 8 cities that will host the tournament from July 08 to July 25. Post this, there will be India Online Open (Qualifier #2) scheduled to commence from 27th July 2017. The South-Asia finale will be hosted in Bengaluru at The Lalit on August 19-20 with an attractive prize pool of Rs. 10,00,000. The total tournament prize money for both the games is Rs. 32,000,000. Peter Chang, Regional Head - South Asia & Country Manager - ASUS India said "Our endeavor has always been to provide the latest innovative hardware to the gamers worldwide and last year, we officially entered the world of Esports with the first ever ROG Masters. It witnessed astounding success and this year we go global across 30 countries across five continents. This is an opportunity for all the gamers in India to showcase their prowess and be a part of one of the largest global Esports phenomenon. We are excited to be one of the driving pillars for Esports and Gaming in India."